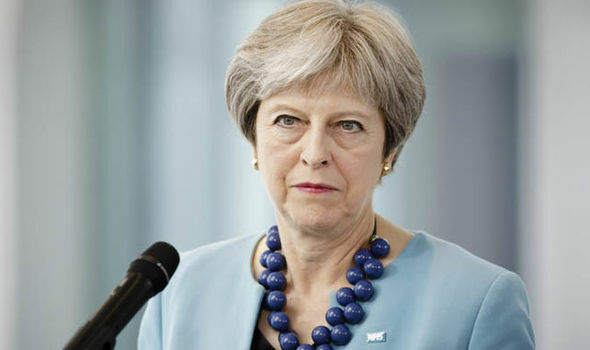 Probashbangla24 online Desk : Theresa May is attempting to get her top team to unite behind her as Brexit talks enter a crucial phase. The prime minister briefed the cabinet earlier on her efforts to unblock talks in Brussels, currently deadlocked over the issue of the Irish border. European leaders meet on Wednesday in one of the last chances to get a deal on post-Brexit trade before the UK’s departure from the EU. EU officials have warned no-deal is “more likely than ever before”. The UK is due to leave the EU in March and it had been hoped that on Wednesday EU leaders would agree that enough progress had been made to call a special summit in November to finalise the terms of the UK’s exit and set out a political statement on post-Brexit trading relations. However, hopes of that happening were dealt a blow on Sunday when ministers failed to make anticipated progress on the Irish border problem. Nevertheless, the prime minister said on Monday that the two sides were not “far apart” and the border issue must not be allowed to derail the entire effort. She tried to reassure MPs the UK would not end up in “permanent limbo”, tied to the EU’s customs rules, and did her best to convince the DUP’s leaders that she would not sign up to any deal which created a new border between Northern Ireland and the rest of the UK. Labour leader Jeremy Corbyn dismissed her comments as “another ‘nothing has changed’ moment from this shambles of a government”. The prime minister continued efforts to win over senior ministers at a cabinet meeting on Tuesday morning. Mrs May has repeatedly warned that failure to reach agreement over the border could result in the UK leaving the EU without a deal in March next year. Much of the focus is now on the so-called backstop. Both the UK and the EU both want to avoid a “hard border” – physical checks or infrastructure between Northern Ireland and Ireland after Brexit. Agreeing how that can be done has so far proved impossible and the backstop is the position of last resort – a safety net that will apply if a wider deal or technological solution cannot keep it as frictionless as it is today. The EU has proposed a backstop that would mean Northern Ireland staying in the customs union, large parts of the single market and the EU VAT system – the UK has rejected this because of fears it would create what would be effectively a border between Northern Ireland the rest of the UK. The UK is instead proposing a backstop which would effectively keep the whole of the UK in the EU customs union for a limited period. The BBC understands that eight cabinet ministers – Dominic Raab, Jeremy Hunt, Michael Gove, Penny Mordaunt, Chris Grayling, Liz Truss, Andrea Leadsom and Geoffrey Cox – discussed the issue on Monday night. They expressed concerns that Mrs May must commit to a hard deadline after which point her time-limited version of the backstop would end. One source described it as a “positive discussion” with “no definitive conclusion”.